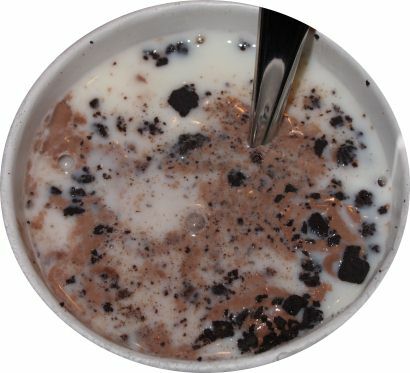 [For 2012 only] Let's start this review off honestly - Look, we all know I don't like skinny cow. Besides mini fudge pops, I pretty much despise all of their products. I know alot of you like them but it is what it is. I'm spoiled, I accept that, but when I saw these in the store, I still couldn't help but want to try them. 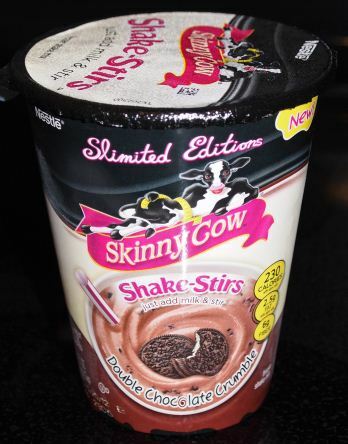 Behold, one of Skinny Cow's new Slimited Edition products. On one hand, slimited is a catchy term. On the other hand, I hate made up words.... geez, am I cranky today or something? 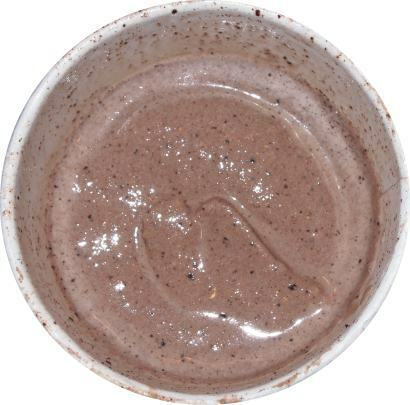 Anyway, this is the new Slimited Edition Skinny Cow Double Chocolate Crumble Shake-Stirs. Yeah, another made up word. Shake-stir? Pretty sure James Bond would have a problem with that term (I'd make a bi-polar joke, but those are never funny). 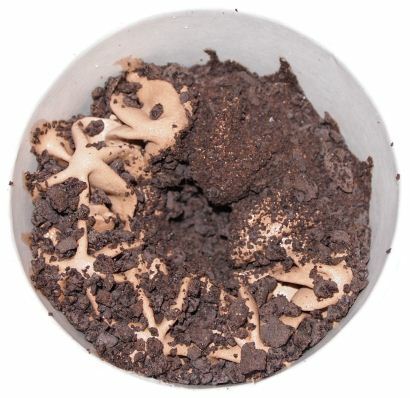 I hate to say it, but this looks fun, it looks like cookie crumbs on softserve.... oh I can't help myself! I grab a spoon and have a few bites. oooooo, oh yeah, typical skinny cow frozen dessert and the crumble is very dry. In goes the milk! You are suppose to use skim (fat free) milk, but I never keep that junk in my house. The only time I come even close is with organic 1% chocolate milk (and I try not to by that either since me and my wife will blow through it in no time). So, in goes some 2% organic milk. Ok, that's just weird. The ice cream is literally bubbling and melting. Do you love Skinny Cow's chocolate ice cream sandwiches? Well then, you are going to love this little bugger. I am shocked at just how much this tastes like their sandwiches. In fact, the flavor is actually a little better than their sandwiches since I cheated and used that 2% milk. That dry cookie wafer flavor totally comes through. 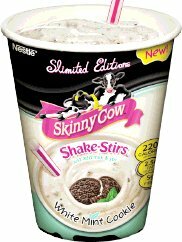 It's weird since you don't expect dry spots in your shake, but I have to give Skinny Cow credit for living up to the product's name. The nice thing here is that the lightweight nature of the Skinny Cow "ice cream" makes it well suited for this application. While I had ice crystal troubles while reviewing the Edy's Shakes, I didn't have that trouble here. Instead I have a very even consistency which added to the enjoyment of this treat. F.Y.I. 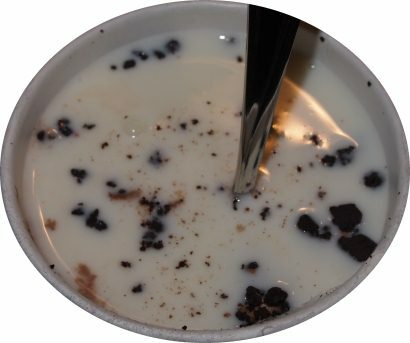 The other Shake-Stir flavor is White Mint Cookie which includes white mint low fat ice cream swirled together with crushed chocolate cookies. You can read the press release here. I knew even with your bias you'd like this flavor when I saw it. I never tried the edys ones and they ended up being clearance from most of the stores around here so I'll have to give one of these varieties a shot. Comparing something that is suppose to be lower in calories to B&J or Cold Stone is like apples to oranges.